Our Chiller Barrel is a unique feature for the bar or deck. 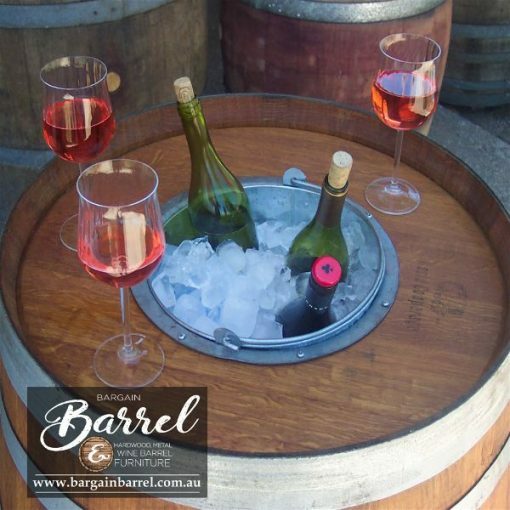 At the top of the barrel is a neatly cut hole with a metal ring to allow the ice bucket to sit. The stainless steel bucket can hold 4 to 5 bottles of wine with ice. 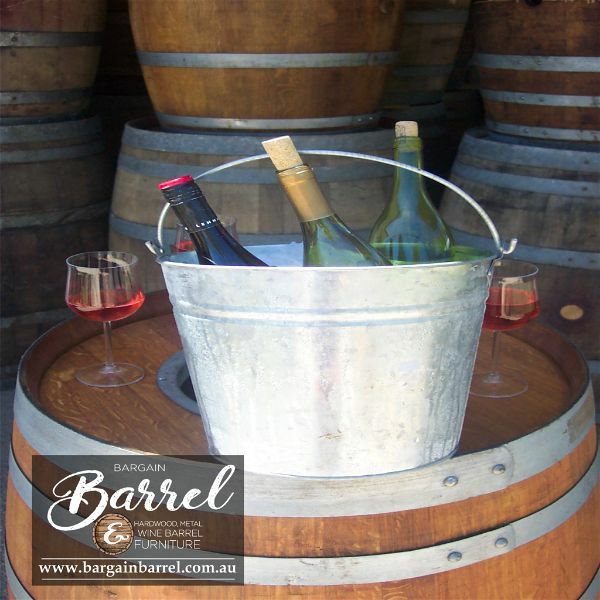 All wine barrel bands are tightly screwed to the barrel with stainless steel screws to maintain its integrity. 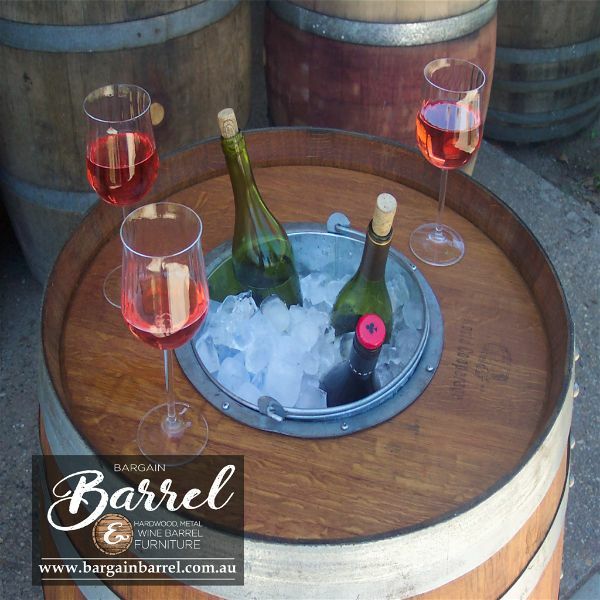 Our Chiller Barrel looks great finished in natural decking oil. 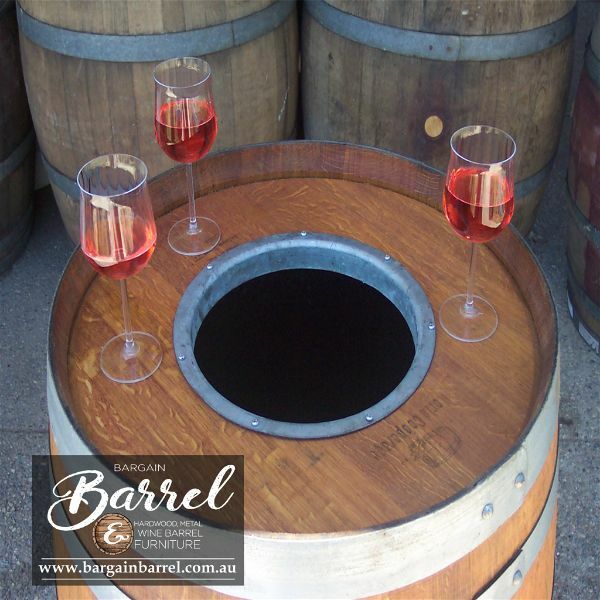 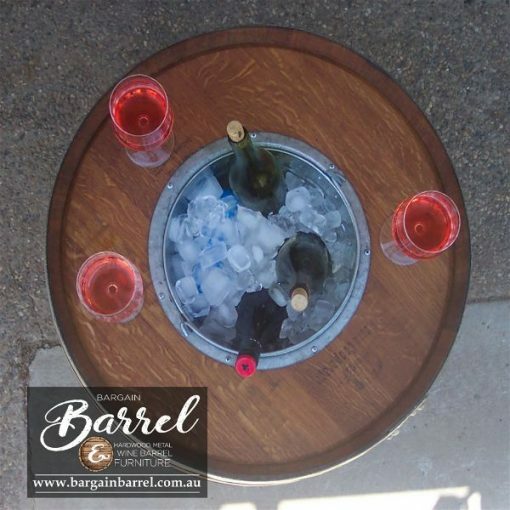 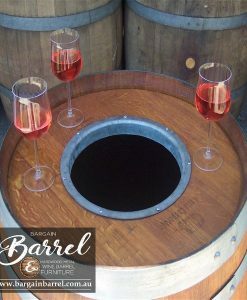 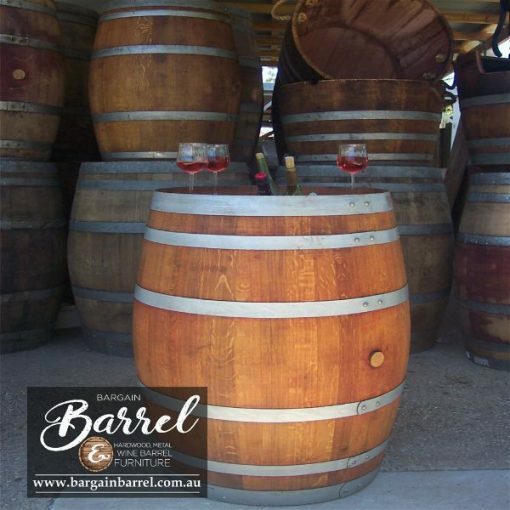 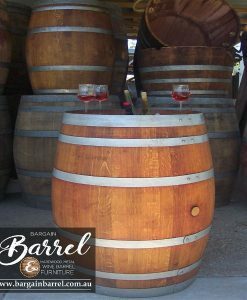 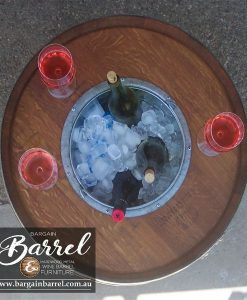 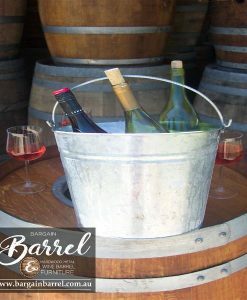 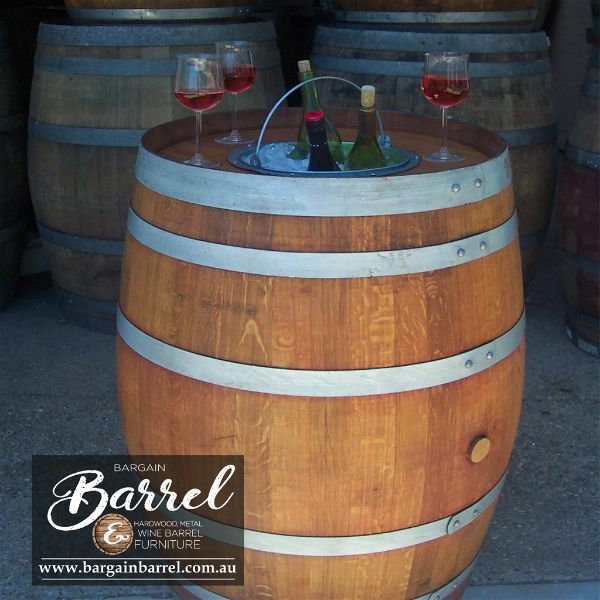 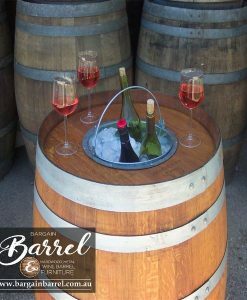 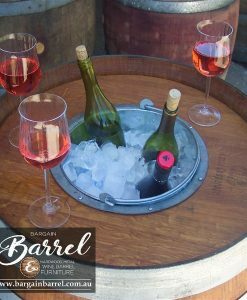 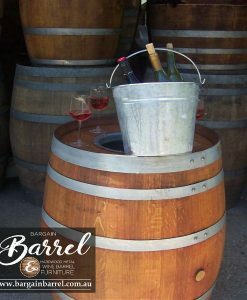 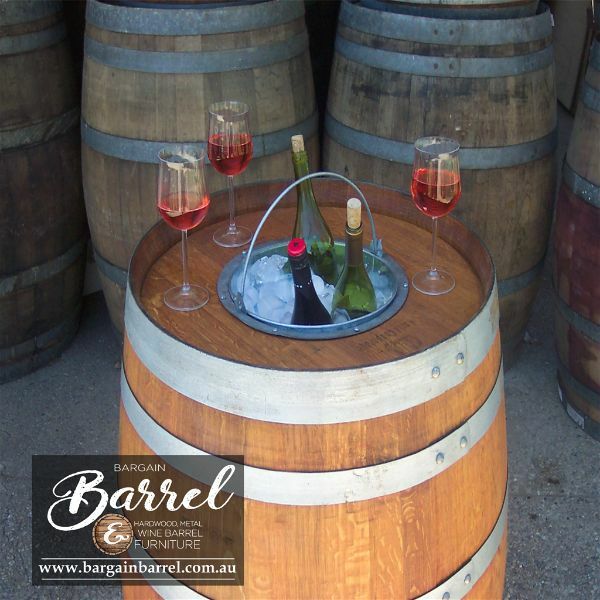 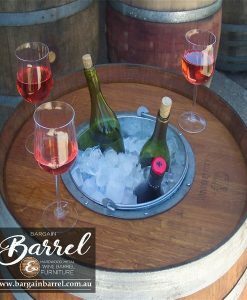 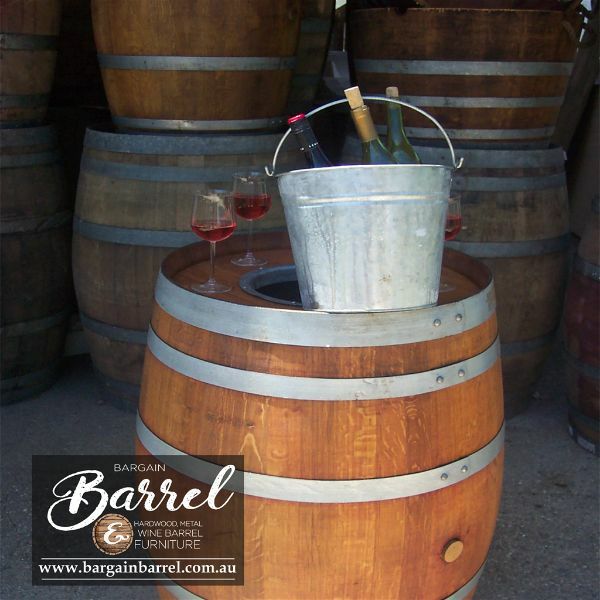 It has been carefully designed to allow continuous use of the barrel as a table with ice bucket facilities. 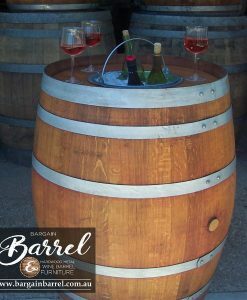 Please note this is a made to order item and takes about a week. 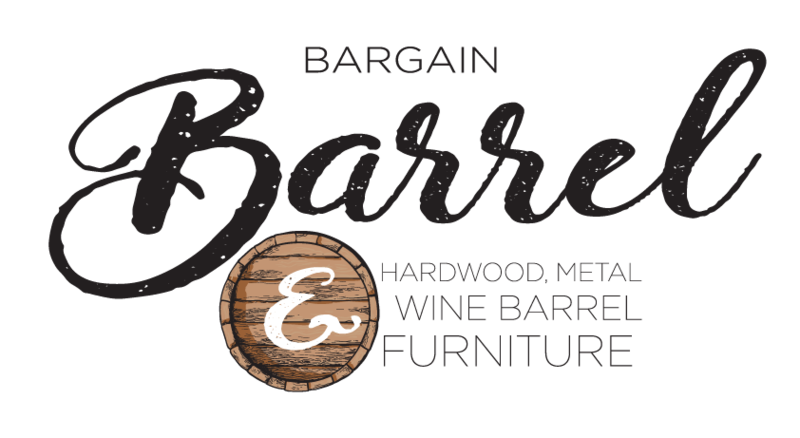 Since 2000, Bargain Barrel started to create, produce and provide unique handcrafted furniture from recycled materials focusing on quality and value.